Most of our trips start from Cleveland, Ohio, since that’s where we live. So if you’re from another part of the country, you’ll have to rework these itineraries to suit you. Route in loops to see more. Make sure there’s something cool to see or do each day. We decided to make our first trips about getting a taste of several national parks since there are so many we’ve never seen. While the Great Plains aren’t a hot tourist destination, we’ve really enjoyed our stops there…so don’t get duped into thinking it’s just flat boring flyover country! Much of the prairie is less flat than you’d expect, and it offers its own charm as well as a few surprises. 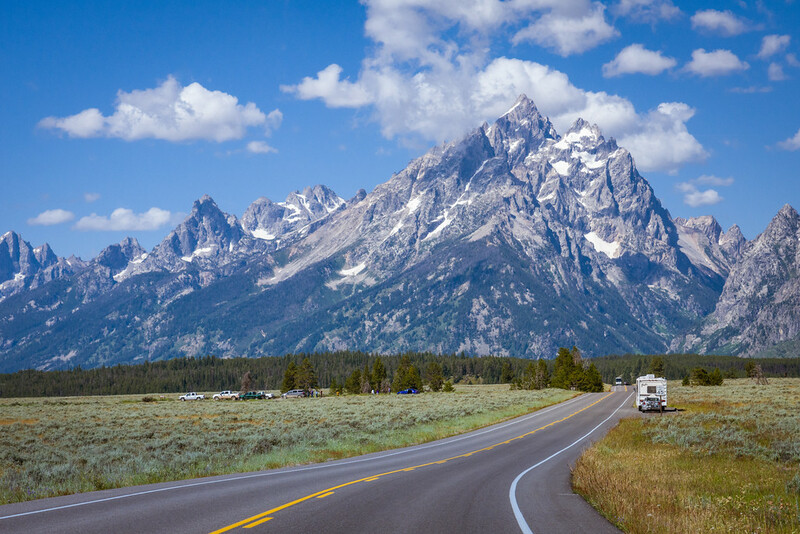 Scroll below to learn how we got started and why we call our road trips RealImaginaryWest. When I was a kid, my grandparents had an RV that they took all over the country. Their traveling days were unfortunately over by the time I was old enough to go with them on a long trip. In my early 20s I became close friends with a couple who loved road trips and British cars. They were closer to my parents’ age and had been exploring the West each summer for decades. Seeing their pictures and hearing their stories were an inspiration, but I never felt like I could find the time or the money to go with them or put together a trip myself. By the time I got to 30, I had a great job with vacation time and money in the bank, so I made plans with a friend and I finally saw California with my own eyes! That was the trip that got me really into traveling, because I really got to see how most things just work out! Fast forward to Spring of 2015…I had been married to my lovely Rebecca for five years. We made a point of taking long weekends and short trips together to Chicago, New York City, and Washington, D.C. We even took one trip where we flew out to Los Angeles for a few days, then took Amtrak along the coast to San Francisco, where we spent a few more days and flew home. We also had some experience camping, as Becky’s mom had given us a tent a few years before and we’d used it at state parks around Ohio. When we were dating, I asked Becky if there were any places she wanted to see. She told me she had dreamed of seeing the places where Laura Ingalls Wilder grew up and wrote about in her books. Being the geek I am, I of course googled them and saw that Pepin, Wisconsin was on the Mississippi River…very cool…and that De Smet, South Dakota was only about 300 miles from Badlands National Park and Mount Rushmore…which was really close to Devils Tower in Wyoming…which was only across the state from Yellowstone and Grand Teton…to borrow an overused word, I thought that sounded like an epic trip! So for five years the idea sat on the shelf, until one day in the Spring of 2015 we just decided we were going to do it! 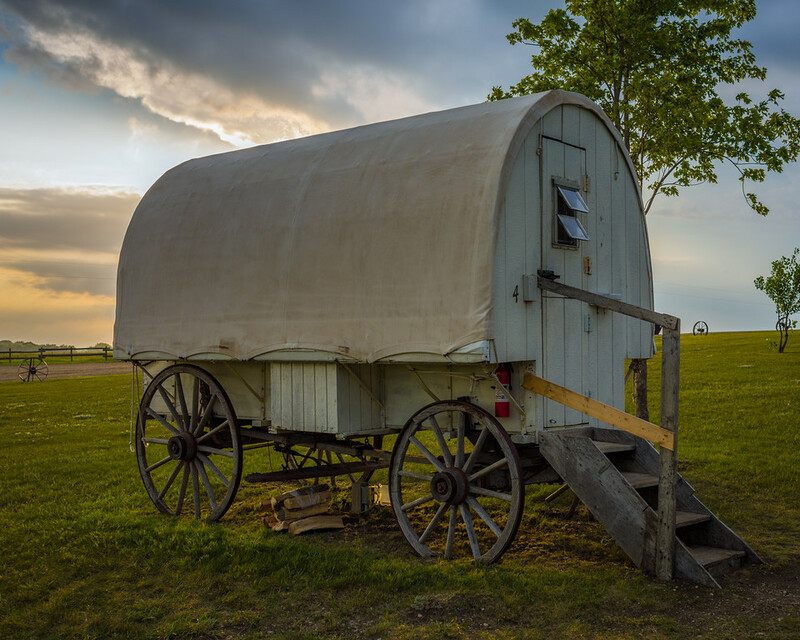 Since Laura Ingalls Wilder and her family were frontier pioneers, Becky suggested that we camp where she lived to get a more authentic experience. Camping actually worked out perfectly for the entire trip, since it was way cheaper than hotels and motels, and what better way can there be to experience the national parks! I can’t remember which day of the trip it was, but early on we decided that all of our Instagram and social posts should follow our own unique hashtag. This was where Becky’s love for science fiction and fantasy met my long repressed wanderlust. Becky immerses herself in the worlds of her favorite fictional characters to the point where she not only cosplays them, but she also imagines herself as them in her own real-life experiences. She calls herself an “imaginary person on real adventures”. Since this road trip was also the realization for many things I’d only ever imagined doing, the hashtag #RealImaginaryWest was not only unused by anyone so far, it fit both of our experiences perfectly!